Morecambe boss Jim Bentley acknowledged he is a man under pressure following their latest defeat. Last Saturday’s 2-1 loss against Stevenage means the Shrimps are now one point and one place above the relegation spots in League Two. Defeat meant Morecambe have only won one of their last dozen league and cup matches going into Saturday’s trip to Northampton Town. The run has coincided with a crippling injury list which saw them without 10 players last weekend but Bentley is refusing to use that as an excuse for the recent slump. “Ultimately, the buck stops with me,” he said. “It’s a very difficult job and I’m not happy with certain things but we’ve got to keep battling and keep going. “I’ve said to the players that, if they start pointing fingers, that’s when they’re going to be struggling. “What we have to do is roll our sleeves up and try to have a good week with whatever we do and wherever we are. Youngsters Kyle Hawley and Carlos Mendes Gomes were the latest players to join the Shrimps’ treatment table. Their absences took the injured list into double figures with Barry Roche, James Sinclair, Lamin Jagne, Andy Fleming, Aaron Wildig, Florent Cuvelier, Vadaine Oliver and A-Jay Leitch-Smith the other players out of action. Although Bentley has been able to land Ritchie Sutton, as well as loanees Paul McKay and Richie Bennett, this month, the size of Morecambe’s injury list and the long-term nature of some absentees mean further fresh blood is essential. “We’ve had it before but it’s a difficult job and I’ll give it my absolute all,” Bentley said. “I love the club and I’ll continue to battle; I’ve never walked away from a challenge. “I’m finding it difficult, I’ve got to be honest, and it’s hard to stand here with my emotions the way they are at the minute. “We need another couple of bodies in as we have 10 people injured, and while that’s part and parcel of the game, we prepare the lads correctly and it kills me. Central to Bentley’s planning for Saturday’s trip to Sixfields will be an examination of the Shrimps’ all-round display last weekend. Saturday’s stoppage-time winner was not the first time they have conceded late on in games this season. 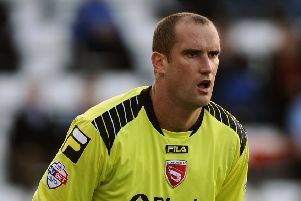 On the contrary; Luke Wilkinson’s 95th minute winners was the 10th occasion this season that Morecambe have conceded a goal from the 80th minute onwards. Some of those have come when they have been chasing games while others have seen wins turned into draws – or draws become defeats. “We have to look at how we could have helped ourselves,” Bentley said. “Why did our first-half performance happen, why did we get on top again and why did we concede late on again?